I never had the good fortune to meet the “spitfire” cornetist Jim Goodwin, but he is very much alive in my aural memory. If you ever heard him live or on records, you will know what I mean. He was a daredevil with great passionate intensity, wit, and emotion — and it all came through his horn. If Jim is new to you, it’s not too late to share in the experience: here is one place to start. Another, more audible, is Retta Christie’s radio program — wishing Jim happiness on what would have been his birthday, March 19. 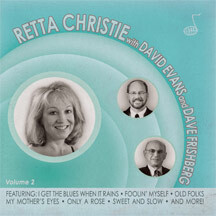 Retta (a wonderful forthright singer you also should know about) took loving care of Jim . . . and she treasures him, his music, and wants to make sure more people know him. And since only a few people reading this can pick up KBGO on their car radios, click here to listen online. I think that no one is dead as long as he or she is remembered . . . so Jim Goodwin lives on. YouTube provided a very encouraging coincidence — two inspiring jazz events taking place on the same day, May 23, 2010 — one in Denmark, one in Arizona. I always hope that Hot jazz is ubiquitous, that somewhere the Ghanian Revelers or the Croatian Wanderers are playing MABEL’S DREAM or DICKIE’S DREAM or SOLID OLD MAN — and these two clips suggest the truth might not be that far away. First, the Scandinavian Rhythm Boys on a Copenhagen canal boat — recorded in lovely HD by Thorbye Flemming. Their choice is LOUIS-I-AN-I-A (by Joe Darensbourg, I think?) with a very lively and current impromptu set of lyrics by banjoist Michael Boving, who has a remarkable shouting style. He’s joined here by Robert Hansson, trumpet; Frans Sjostrom, bass sax; Ole Olsen; bass. Sit down, you’re rocking the boat! This is only a sample: the Scandinavian Rhythm Boys also favored the passengers with CLARINET MARMALADE, and Ray and the Cubs performed about twenty more songs: enjoy what happened on May 23, 2010! The much-loved jazzman Jim Goodwin died this year just shy of his sixty-fifth birthday. I’ve written elsewhere on this blog about his talents, but what struck me when I first heard him on record was his surpassing heat, a pushing intensity that drove the musicians around him. Red Allen had it, as did Roy Eldridge. Think of Louis on HOTTER THAN THAT, or the closing choruses of I NEVER KNEW by the Chocolate Dandies, or Joe Sullivan in his prime. Jim always played — no matter what the context or the tempo — as if his life depended on it. Not necessarily loud or high, not necessarily spattering the listener with fancy runs, but taking chances, never coasting. Even when he playing the opening chorus of something like PLEASE BE KIND, you knew that the request wasn’t an idle one: he meant business! 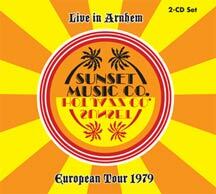 And, more recently, the Blue Swing label has issued two sets featuring an incendiary little band, the Sunset Music Company, recorded live in Europe, under the leadership of banjoist / singer Lueder Ohlwein, and featuring Jim alongside such notables as Dan Barrett, John Smith, Bill Carter, Mike Fay, and Jeff Hamilton. Think of a cross between Fats Waller and his Rhythm circa 1935 and the Rhythmakers, and you’ve got the collective ambiance of these rewarding concert recordings. 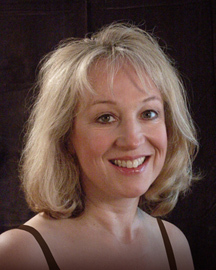 Finally, Jim’s dear friend and musical colleague Retta Christie (whose singing is full of feeling and swing) has created a website to honor Jim — content and photographs provided by his friends, so it has a delightful, often hilarious candor not always found on the web. And — there are audio clips for those for whom Jim was just a legendary name. My friend Barb Hauser, the wise woman of San Francisco jazz, sent this along — an obituary notice for the brilliant, plunging cornetist (later pianist) Jim Goodwin, written by his friend — the justly renowned Dave Frishberg. James R. (Jim) Goodwin, the son of Katherine and Robert Goodwin, was born March 16, 1944 in Portland, OR, and died April 19, 2009 in Portland. Jim was a natural musician with no formal training. Practitioners and admirers of traditional jazz on both sides of the Atlantic have long regarded him as somewhat of a legend, and his heroic cornet playing, influenced by Louis Armstrong and Wild Bill Davison, was warmly appreciated by his musical colleagues as well as by audiences who listened and loved it. Jim was a star first baseman at Hillsboro High – a left-handed line-drive hitter. After high school he served in the Oregon National Guard, then trained on Wall Street for a career in finance, returned to Portland, joined Walston & Co., and became for a time the nation’s youngest stockbroker. 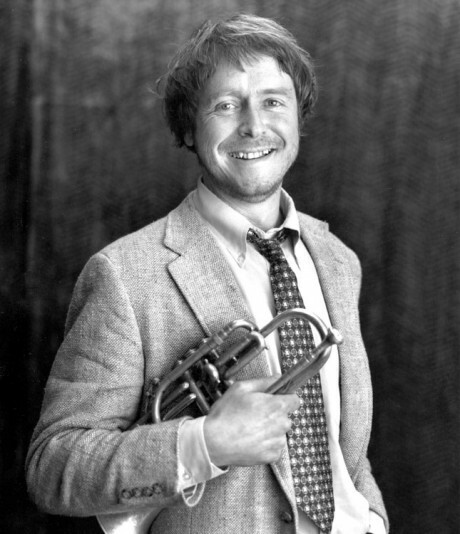 Jim then put aside the financial career and began to devote his life to playing jazz on the cornet. During his forty-year career as a cornetist and pianist, Jim had long residencies in Breda, Holland and Berkeley, California, as well as in his home town of Portland. He played with many prominent musicians of the “old school,” including Joe Venuti, Manny Klein, Phil Harris, and Portland’s Monte Ballou (Jim’s godfather). He toured extensively in Western Europe and became probably better known there than in the US. During his long residence in the Bay Area he played regularly at San Francisco’s Fairmont Hotel and at Pier 23, as well as in three World Series with the Oakland A’s pep band. Before his recent return to Portland, he spent several years living in rural Brownsmead, OR, near Astoria. Jim became a pioneer in the Portland micro-brewing industry when, together with Fred Bowman and Art Larrance, he established the Portland Brewing Company. 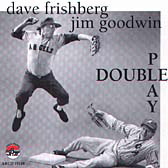 During the 1990s he and Portland pianist Dave Frishberg played regular duet performances at the company’s Flanders Street Pub, and the two made an internationally acclaimed CD on the Arbors Jazz label. In recent years Mr. Goodwin was on the Board of Directors of Congo Enterprises, and he served briefly as CFO of that company, leaving office months before the scandal became headline news. Forest Park was very dear to Jim. He spent a lot of time there hiking and running. – A space is provided to enter the honoree’s name. There will be a party honoring Jim on Saturday, September 19th, in Portland. For more information contact, Retta Christie at ARChristie@aol.com. I have just learned that the brilliantly individualistic musician Jim Goodwin has died. He had been ill for some time and had concentrated on the piano rather than his first love, the cornet. On that instrument, he had much of the same surprising intensity and off-center majesty of Red Allen: you didn’t know where his phrases came from or where they were going, but they always fit. An eloquent player, he knew how to drive a band! His most accessible CD, perhaps, may be his Arbors Records duet session with Dave Frishberg, DOUBLE PLAY, but the Blue Swing Fine Recordings label has just reissued music from the Sunset Music Company (including Dan Barrett, Jeff Hamilton, and Bill Carter) at their 1979 concert in Dusseldorf. Thanks to Bob Erwig for the Dailymotion video below. This post is written in haste, so it’s not a full tribute to Jim — but he was a HOT jazz player, fervent and intense, someone who didn’t know what it was to coast through a chorus. I never met him, but his death is a real loss. I send condolences to Retta Christie and all of Jim’s family and friends.